Gold Star Bridge Rehabilitation - PRIME AE Group, Inc.
Connecticut’s largest bridge structure, the Gold Star Bridge, carries I-95 Northbound over the Thames River. The structure consists of 34 spans including the main three-span continuous segment over the river, a total length of 5,930 linear feet (1.2 miles long), more than 506,000 SF of deck area, and provides an 80-foot curb-curb roadway. 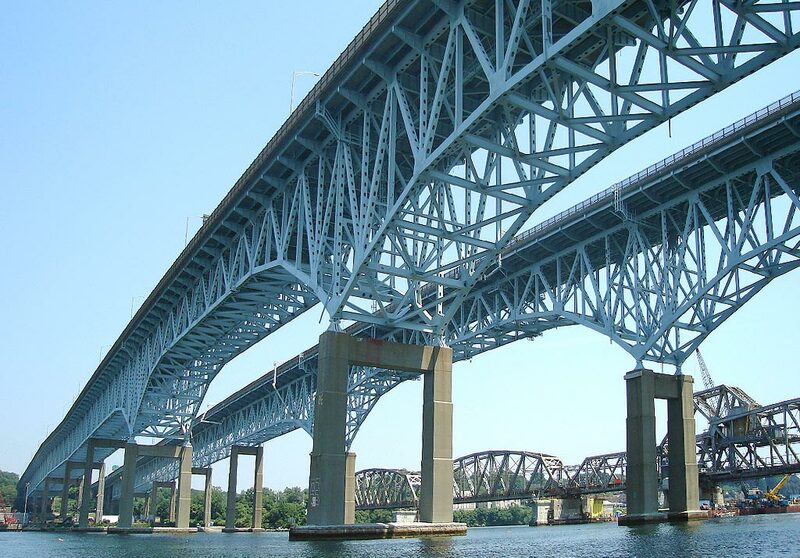 PRIME was engaged to provide structural engineering services to analyze, evaluate, and develop rehabilitation methods to strengthen the bridge to carry present-day design and permit loads, and to facilitate the continued safe and reliable use of the bridge long term. 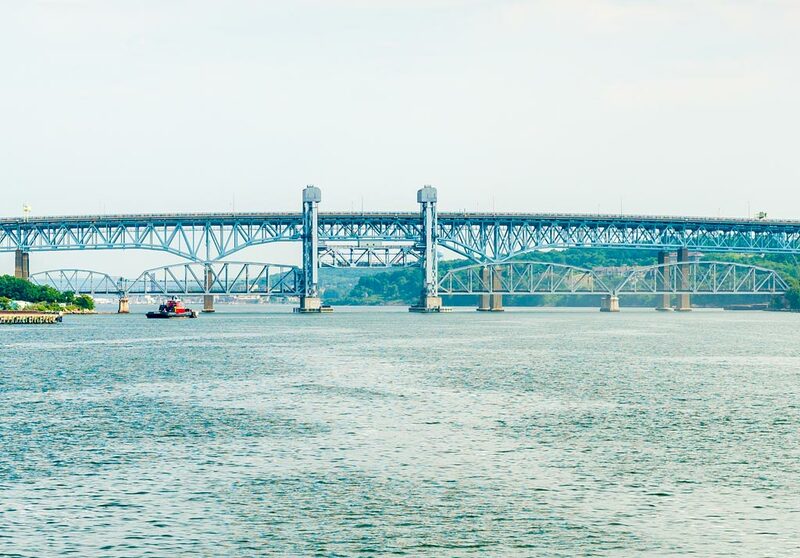 As part of the concept study, PRIME was tasked with preparing a report outlining various options to rehabilitate, strengthen, and/or replace the bridge. A traffic capacity analysis for the bridge and its approaches was also performed and several possible maintenance and protection of traffic (MPT) plans were presented. In the end, a major rehabilitation of the current structure option, and a 3-stage MPT plan were accepted by Connecticut Department of Transportation.